The Abercrombie Building (2012) has been extended to accommodate the Faculty of Design, Technology and Environment, including new accommodation for the School of Architecture. From the main concourse a flight of stairs descends into a high, narrow atrium space, crossed by colourful bridges, with a café and exhibition areas at the lower level. At the higher levels open plan floors provide well-lit design studios and staff offices, within an exposed concrete grid. 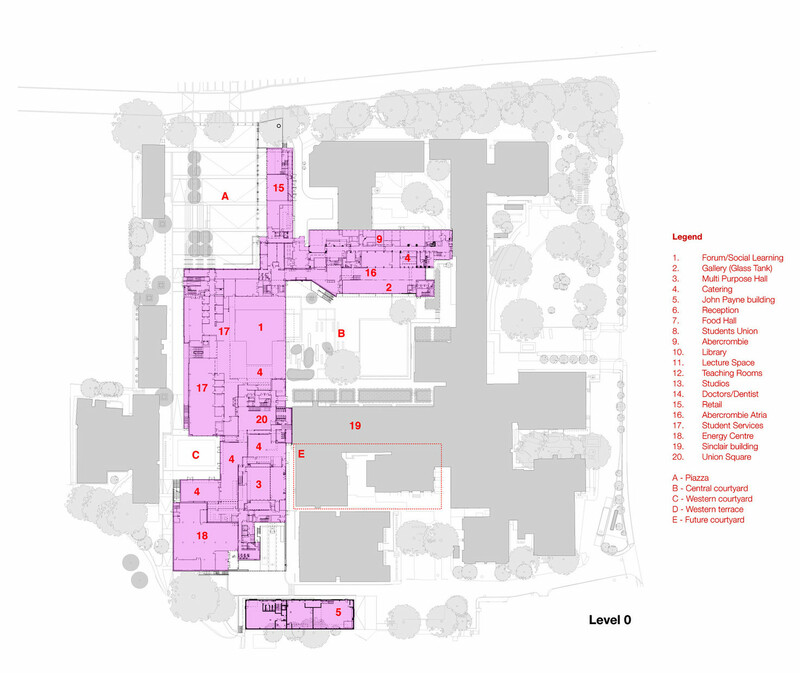 The John Henry Brookes Building (2014) is the principal new building, creating a new main entrance to the University facing London Road, a library, lecture theatres, student services centre, teaching spaces and commercial/retail space. 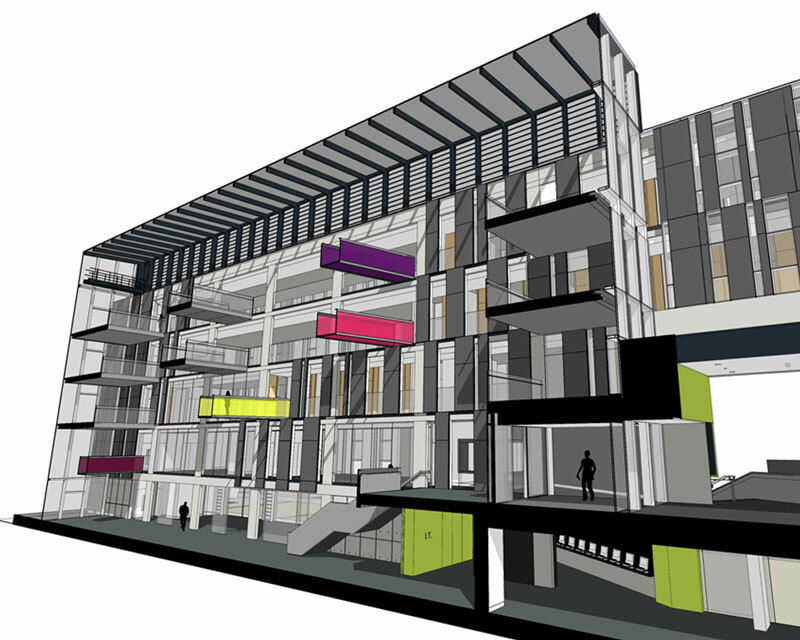 The entrance lobby overlooks an enormous social space at ground level that will accommodate 1000 people when cleared. Approaching the scale of an airport terminal, it rises through five floors with several bold, dominant elements including an elevated timber-clad lecture theatre and a broad flight of stairs to the upper levels. Fair-faced concrete, stone, timber and cladding panels give a rich variety of colours and textures, and the whole space is filled with natural light from large windows and skylights. 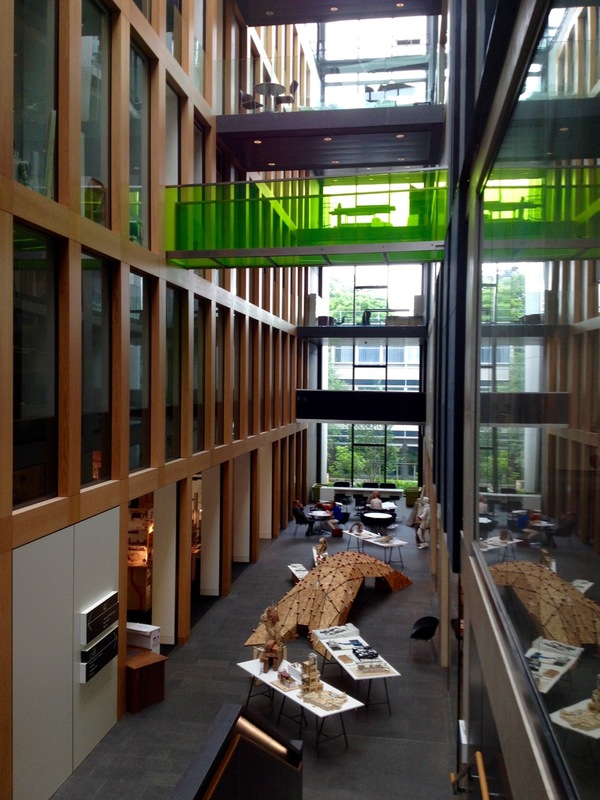 This area forms a hub from which the Abercrombie Building, the library and the students’ union are accessed. 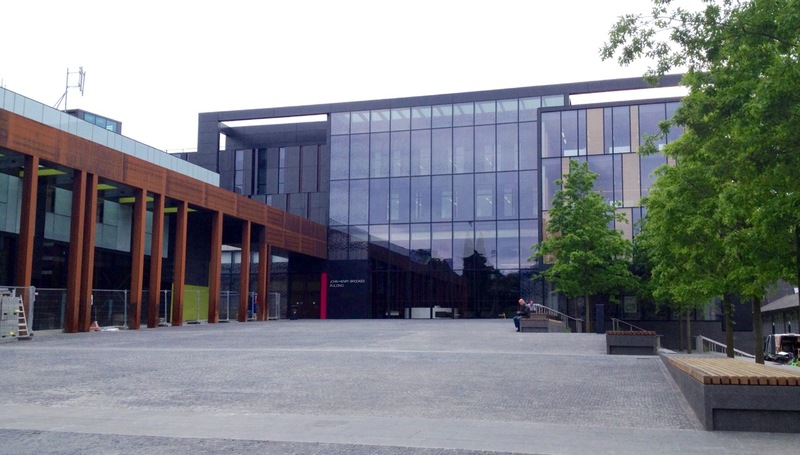 The Colonnade and Piazza (2014) complete this phase of the new work at Brookes. The public Piazza slopes up to meet the new entrance at first floor level, while on the left the three-storey Colonnade houses a bookshop and café, convenience store, bank and medical centre. The Corten steel facade continues through the the JHB Building as an orienting element. Awards: RIBA Award, 2014; OPT Award, 2014.